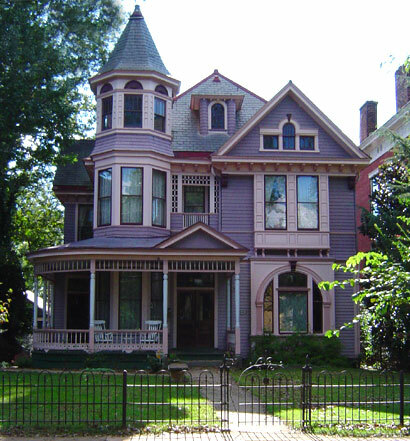 This Queen Anne Victorian was built in 1902 by architect J.M.B. Lewis for tobacconist Stephen B. Ferguson. A wing of the Murrell House next door to the right was removed to create the 50 foot wide lot for this house.